• An important second volume on the assault artillery of the German Army in World War II The Sturmartillerie came about due to the efforts of celebrated German commander Erich von Manstein, with this new branch designed to support infantry assaults with self-propelled vehicles. 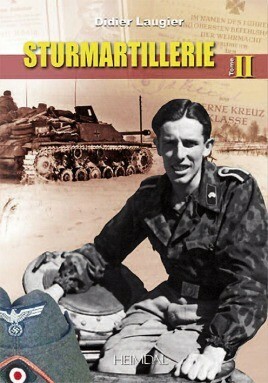 Unfortunately, due to sales rights restrictions, we cannot offer Sturmartillerie Volume II for sale in your country. The Sturmartillerie came about due to the efforts of celebrated German commander Erich von Manstein, with this new branch designed to support infantry assaults with self-propelled vehicles. It was distinct from the panzers as it was designed to work closely with the infantry. To fulfill this vision, a whole new series of vehicles was designed. The first and most common numerically was the Sturmgeschutz III. Later, other vehicle types such as the StuG IV were added to the ranks. Initially planned for a single volume, this encyclopaedic work of Didier Laugier, highly detailed and superbly illustrated, is finally published in two volumes. This second volume covers the assault guns of the Waffen-SS, their uniforms and the recipients of awards. The book contains a staggering amount of information and is illustrated heavily with wartime photographs, illustrations and diagrams, wartime paperwork and maps and a dozen pages or so of full colour profiles.